The Winter/Spring concert calendar from our friends at World Music/CRASHarts . ONLINE: Select the performances and numbers of tickets you wish to purchase. Click "Buy Tickets" and add them to your Shopping Cart. Input coupon code “BASE19" at the bottom of your shopping cart and click "Add Coupon." 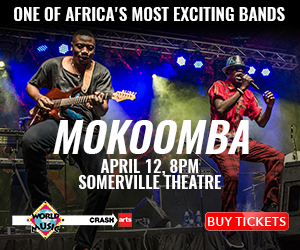 PHONE: Call World Music/CRASHarts at 617-876-4275 and mention coupon code “BASE19" when ordering tickets. *Discount is not valid on previously purchased tickets and cannot be combined with any other offer. 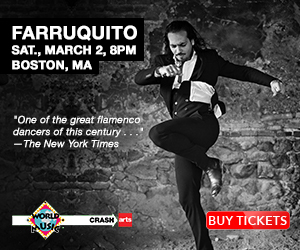 Discounted tickets must be purchased in advance through World Music/CRASHarts online or call 617-876-4275. Offer subject to availability. Coupon code expires 2/15/19, 5pm or 2 business days prior to concerts that take place before the expiration date. La Huella de Martin Luther King Jr.